Lock in a great price for Rising Sun Guesthouse – rated 8.5 by recent guests! Definitely The location so close to everything ! Also the room was really clean ! Nothing to say about that incredible staff ! Finally the bed was really comfortable !!!!! The breakfast was also perfect for us !!! Very friendly and attentive staff that looked after us very well. Very good location to explore the island. Possibility to rent bikes directly from the guesthouse. Billard table for evening entertainment. Room cleaned every day (except Sunday) including new towels, which are arranged as animals on the bed. Highlight was the great creole food - definitely book half board! 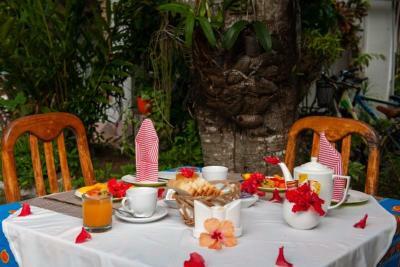 Really nice breakfasts (fruit, omelette or pancakes, toasts with jam, tea / coffee, fresh fruit juice), really clean, nice towel 'sculptures', possibility to rent bikes and have typical creole dinner, AC in the room, helpful staff. Everyone Was super friendly and super helpful. Rooms were cleaned every day. Great Creole cooking. Excellent location. We could rent bikes directly from the property. Wi-Fi available in the rooms. Location is great with bike facilities. It’s 15 min walk from the boat pier.. Breakfast is good and there are restaurant facilities very near which are the best of the island. Excellent wifi and facilities. Beatiful garden and close to take aways. Has bikes for hire at the guesthouse. 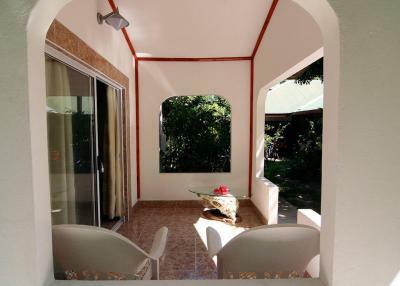 Featuring a garden and a terrace, Sun Rising Guest house offers modern accommodations in La Digue. 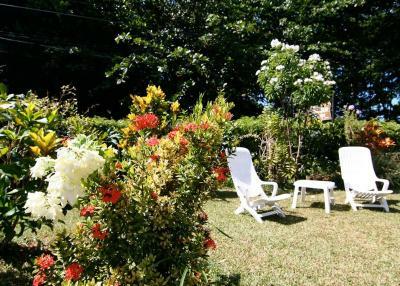 With bike rental, the property is only 1,650 feet from the sandy beach of Anse La Reunion. 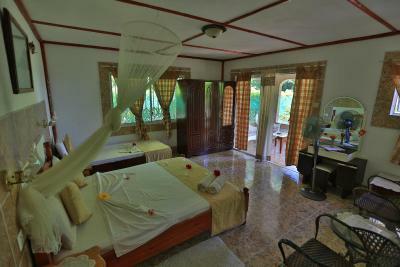 The air-conditioned rooms include a terrace, refrigerator and electric kettle. The private bathroom comes with a shower. There is a restaurant on site serving Creole food. Sun Rising Guest house is 0.6 mi from the Inter Island Ferry, while the La Digue Boatyard is 0.9 mi away. 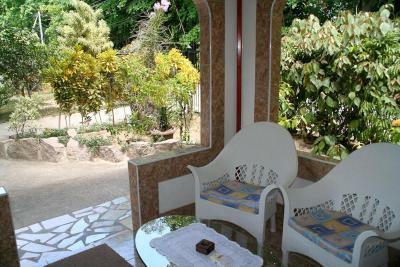 뀐 Located in the top-rated area in La Digue, this property has an excellent location score of 8.7! When would you like to stay at Rising Sun Guesthouse? 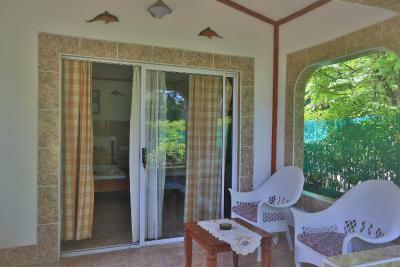 Featuring a terrace, this air-conditioned room includes a refrigerator and electric kettle. We operate by a family. 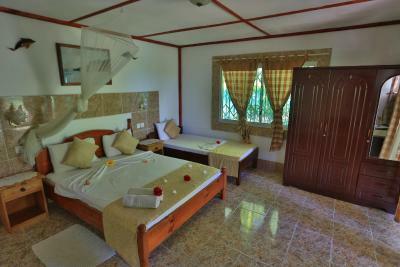 The guest house is in the central of the island, It 5 minutes walking distance to the beach. Every room have it on terrace. Our food is typical Creole and we served fish every night. House Rules Rising Sun Guesthouse takes special requests – add in the next step! One child from 3 to 12 years is charged EUR 15 per night in an extra bed. 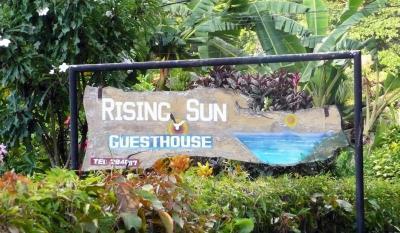 Cash Rising Sun Guesthouse accepts these cards and reserves the right to temporarily hold an amount prior to arrival. Rising Sun Guesthouse accepts these cards and reserves the right to temporarily hold an amount prior to arrival. We enjoyed our stay very much. The location was great, the room was spacious and clean, and the bed was very comfy. 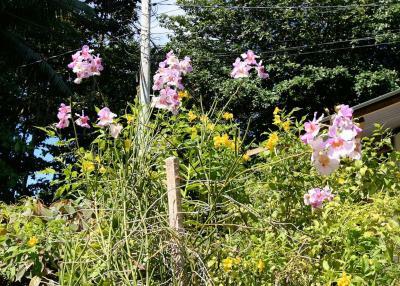 We would recommend Rising Sun Guesthouse. Lovely situation. Birds amazing. Family team friendly and helpful. The curtains were translucent - too much light in the room in the night. The lighting of the terrace was definitely too cool and bright. As the caretakers are living on the premises, some people may feel disturbed by the noises of their children running around and playing. This is a well managed Guesthouse. Charlotte, the main caretaker, is reserved but helpful and efficient. The location is perfect: supermarket, take away and beach nearby. Breakfast is good and sufficient. The Aircon was totally noiseless. 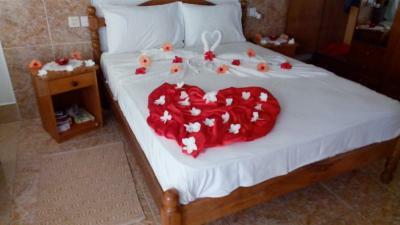 WiFi was very good, the mattress first class and the bed nicely decorated with flowers every day. We disliked that there were a lot of ants in room and the A/C was noisy. We absolutely loved the dinners served at Rising Sun. Staff was very friendly and helpful. A supermarket with Italian grocery is 20 meters away. The room was spacious,clean and convenient although a bit outdated. The bathroom is also absolutely fine. We had no problem with water temperature or pressure either. Excellent location, wonderful staff and very nice room! Union estate park with anse source d’Argent beach is nearby and bikes are rented at the guesthouse as well. There is easy access to the supermarket so buying snacks or essentials is not a problem at all. Highly recommended! Very clean, the bathroom especially was fabulous. Beds very comfortable. Staff wonderful great breakfast to . Nice staff, bicycles for hire, good breakfast, near Anse Source D'Argent, takeaway right around the corner.